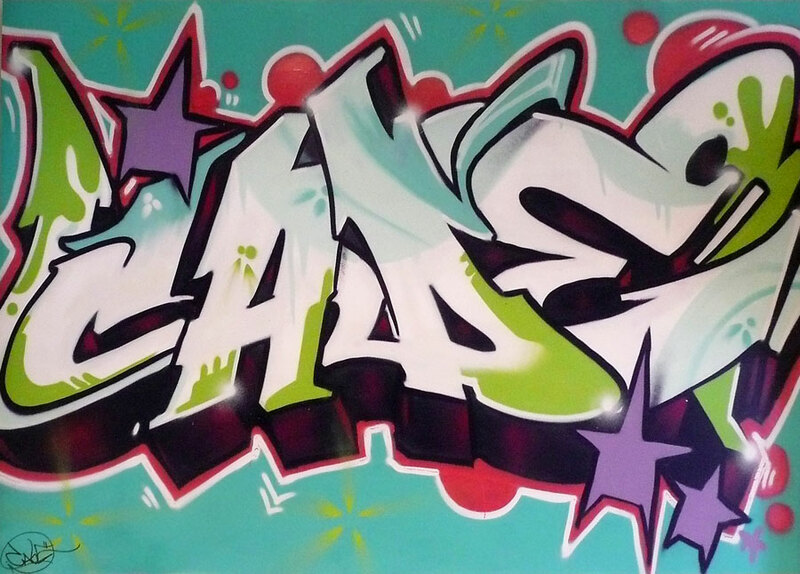 This Canvas was done by our artist “Case” for a young teen’s bedroom. His name was requested and “Case” was given full creative license for colors. Below you can see the artwork as it appears in his bedroom.